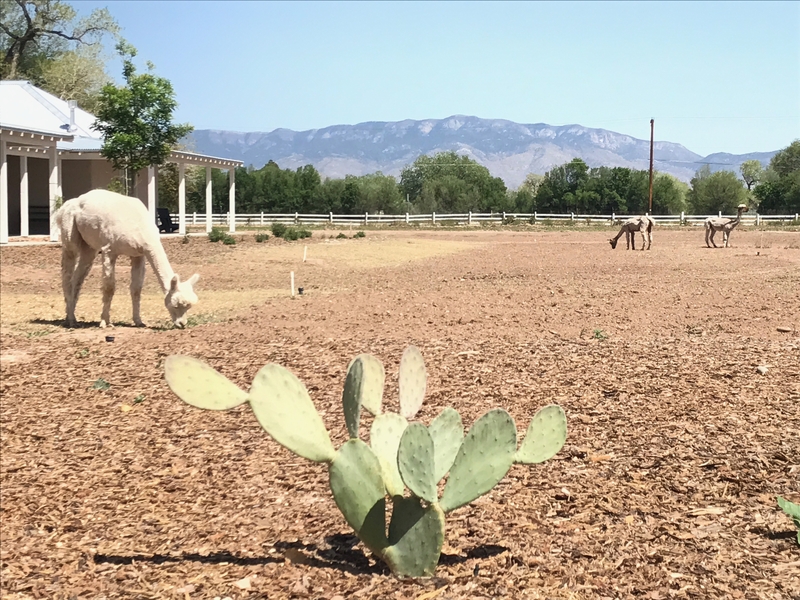 Los Poblanos Historic Inn and Organic Farm is located in the North Valley, of Albuquerque, a lush green environment that borders the mighty Rio Grande River. Los Poblanos is a historic property set on land that was originally inhabited by the Anasazi Indians in the 14th Century. It is from these roots that Los Poblanos gets its name, as these citizens originally from Puebla, Mexico were called “Poblanos”. Today the inn offers 50 guest rooms and suites that incorporate the classic Hacienda New Mexico style elements of hardwood floors, wood burning fireplaces, traditional artwork and antique furnishings. 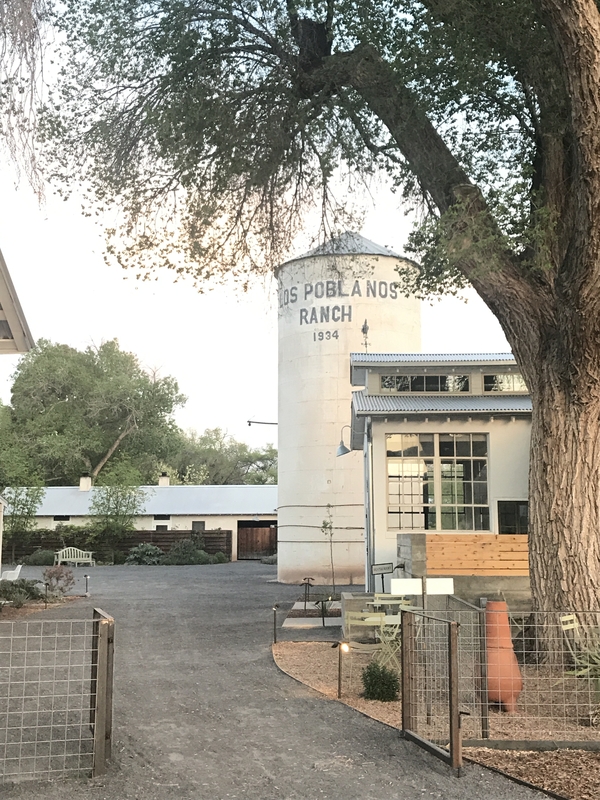 And new renovations have added the Field Rooms, which are located in converted 1930s style Dairy Barns, featuring Los Poblanos’ signature clean minimalist farmhouse style. The Historic Hacienda, La Quinta, and other Los Poblanos buildings were further the expert work of prominent architect John Gaw Meem, and his style of architecture as well as, utilization of local craftsman and artisans is captured on the property. 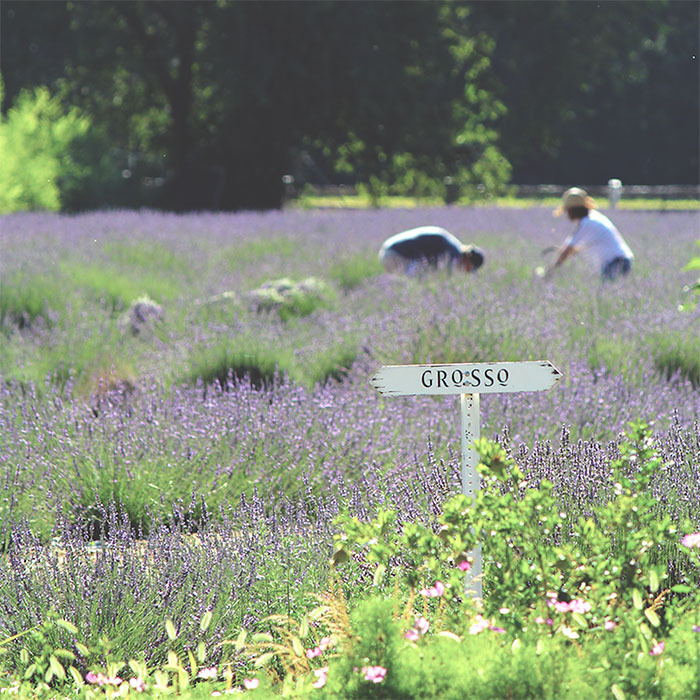 This gorgeous setting of lavender fields, a functioning farm, incredible gardens, and a salt-water pool surround the inn and truly provide a stunning environment for peace and relaxation. New to the Inn in 2018, is the addition of the main restaurant, Campo. As a field-to-fork dining experience, guests have the ability to indulge in traditional dishes of the Southwest. Campo also offers guests the ability to experience an immersive dining experience with an open kitchen plan that puts one right in the center of the culinary action. All dishes are also prepared with the utmost attention to ingredient source, and with that in mind, the culinary team at Campo maintains close relationships with the farmers and growers. Further, there are many ingredients and produce that is grown right on property. Los Poblanos farmers focus growing on native and heirloom varieties, as well as, maintaining a vibrant herb garden, and honeybee hives. Through this Rio Grande Valley inspired cuisine, which changes with each season, guests further get to connect with the land around them. 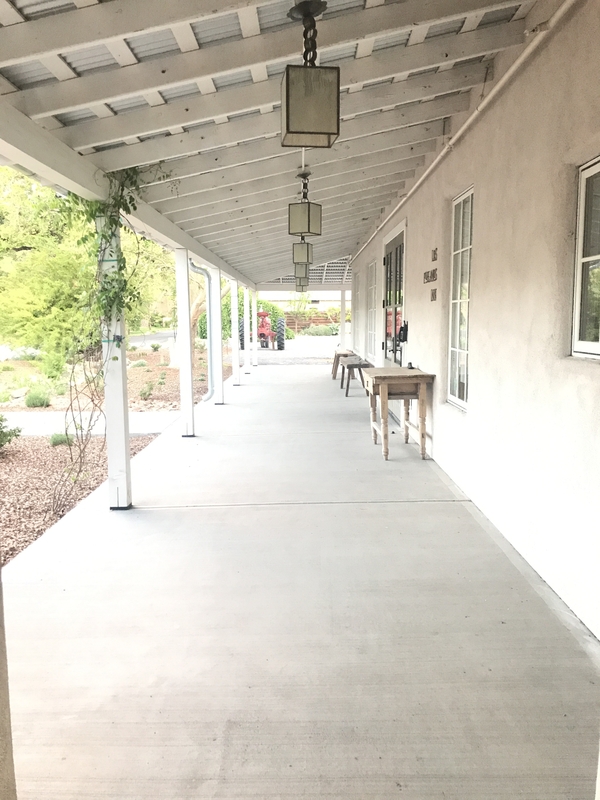 During our retreat on the property, retreaters have the opportunity to practice alfresco, among 25 acres of lavender fields, cottonwood trees, and incredibly stunning flower gardens. Los Poblanos’ truly offers guests an opportunity to experience a working organic farm, and revel in the pristine beauty of the surrounding environment. There are various wildlife that call this place home, including: peacocks, grouse, alpaca, and honeybees. Guests will be sure to relax with the warm New Mexico sun and smell of lavender in the air.